For low-cost airport collection Goldcar (and affiliates InterRent and Rhodium) are good budget options, although they tend to charge more for extras. Although Goldcar’s online reputation is not great if you are aware of their pricing structure they offer some good-value online deals. Most complaints seem to relate to additional charges for refuelling and refuted claims for damage to vehicles. 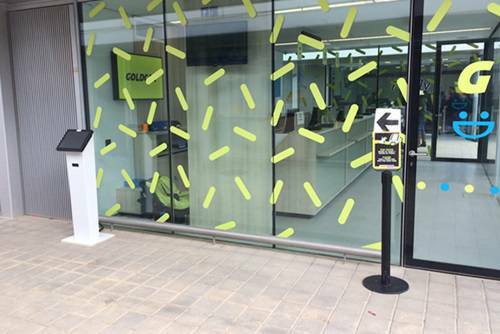 At Murcia Goldcar operate a "check-in" service - the check-in machine is located to the side of their office. Make sure you check-in to avoid an unnecessary delays. Firefly are the budget brand of Hertz offering value-for-money mid-range priced cars. The company have a reasonable online reputation and have on-site offices and car collection at Murcia International. Europcar are a worldwide brand who generally charge higher prices but have a good reputation for service and no hidden charges. Europcar have offices and collection at the front of the terminal building at Murcia International. Centauro and OK Rent A Car provide a shuttle bus service to and from their offices close to the airport terminal. The Centauro shuttle buses are easy to spot as they are yellow and park at the front of the terminal building. Flamenca Cars are a popular local company who operate a "Meet & Greet" Service at the airport Costa Coffee. They are renowned for fair pricing and no hidden charges. The additional insurance products sold by car rental companies can be confusing. The following table summarises the benefits of the insurance products sold by each of the car hire companies at Murcia International Airport. * Express Check-In applies when insurance is purchased in advance.